Shutdown Timer to Auto Shutdown PC after 1 to 120 minutes. 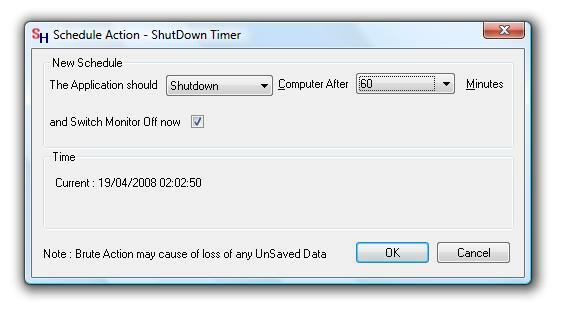 Shutdown Timer can Auto Shutdown pc after 1 to 120 minutes with ease. Shutdown Timer can Close Monitor as well. Shutdown Timer does not stays in memory when not in use. Trial version does not have any nagging pop-ups. Trial Version allows to use the application upto 15 times. Download Fully Function Trial Version of Shutdown Utility now. Shutdown Timer creates a System Tray Icon when running. 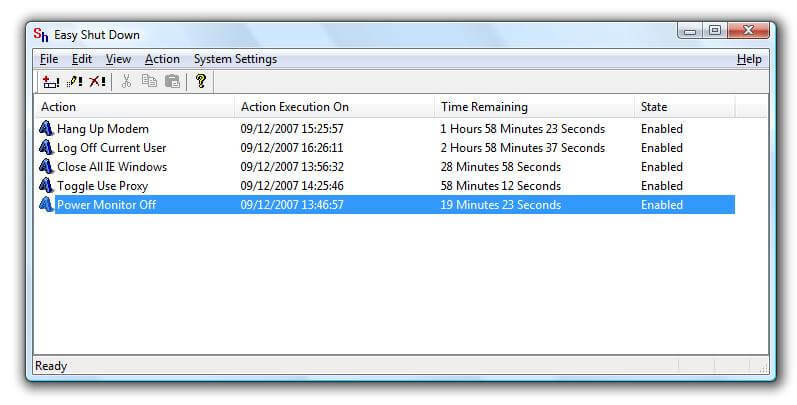 Easy ShutDown Provides Automatic, Timer Based ShutDown,LogOff,Restart and Other Useful Actions in an easy way. Easy ShutDown allows to create System Wide Hot Keys & Shortcut on Desktop to easily access the various functions provided by the application.Download Free Trial Of Easy ShutDown Utility Now. Register Today for $5.00 and get free Turn Off Monitor Utility . Contact Us or Visit Shutdown Timer Home.